This early May bank holiday weekend I went on a full on dark chocolate bars frenzy! 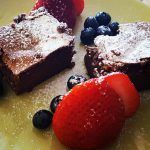 Not to worry, we are still health conscious over here, all of this 3 decadent vegan chocolate snack bars recipes have all of the dark chocolate goodness without any refined sugars added. The crispy rice cereal bars and the cardamom & almond chocolate bar can easily be packed for a snack on the go or to send in the kids lunchboxes. Make ahead and store them in an airtight container up to a week for a chocolate craving fix without the intake of additional preservatives and sugars. The cashew and rose bars need to be kept in the freezer, take them out 15 minutes before serving and top with the warm chocolate topping. All of these recipes use natural sweeteners syrups such as agave nectar or maple syrup, there are other options now easily available in the supermarkets like date syrup or brown rice syrup. You can easily change the recipes to use any of these and adapt the sweetness if required. 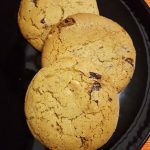 All the 3 bars recipes use almond butter, I make it at home just by lightly roasting the almonds in the oven and then blend until a very smooth paste, it’s cheaper and has no preservatives added. I hope you love these bars as much as we did, and as they are so versatile let me know what changes you experimented/adapted to your taste in the comments section. Enjoy! If you want to adapt your kids to the dark chocolate taste it helps if you sprinkle the bars with all of the colourful and shiny toppings! Or even better make this a family activity and let them decorate their own snacks. In a small saucepan bring the maple syrup/agave nectar to a gentle simmer and stir for 1 minute. Take off the gas, then add the vanilla, salt and almond butter and mix well. Now add the chopped chocolate and stir until well combined. In a large bowl mix very well the crispy rice cereal with the chocolate mixture until all cereal is coated. Transfer the cereal to a lined tray pressing it to make it flat and even. Melt the chocolate and coconut oil in a heatproof bowl over a pan of gently simmering water, stir until melted. Leave it to cool down slightly and then spread over the cereal tray. Add toppings of your choice, I used chopped almonds, dried raspberry bites, chopped candied orange peel and dessicated coconut. This was my favourite of the lot, I am at any time a big fan of cardamom and this cardamom and almond chocolate bar is just full of flavour, the pinch of salt both in the almond/dates dough as well as on top of the chocolate brings everything together into a very delicate snack. 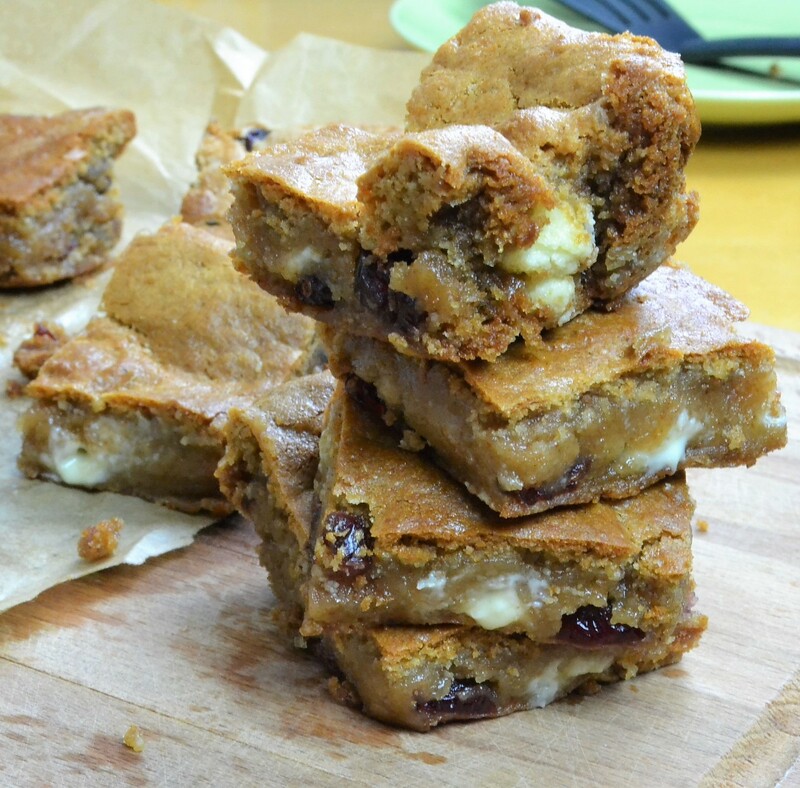 I made this bars thinner and had them as ‘dessert’ over the last few days with my after lunch expresso. I have sprinkled them with some golden shimmer food powder to make the looks match the fancy taste. Mix the almonds, vanilla and cardamom in a food processor and pulse to get roughly chopped almonds. Now add the pitted dates and pulse again until you have a rough dough mixture. Transfer into a mixing bowl. Add the almond butter and 1 pinch of Maldon salt and mix well. Transfer this mixture to a lined tray or moulds, press the dough flat. Melt the chocolate in a heatproof bowl over a pan of gently simmering water, stir until melted. Optionally you can add coconut oil or 1 tbsp of dairy-free milk at this stage and mix if you prefer the chocolate to stay soft when cold. Pour the melted chocolate over the almond-dates mixture and spread to make it uniform. When the chocolate has cooled down sprinkle with a little bit of Maldon salt. This bar, unlike the previous ones, is a creamy frozen nutty bar, to make this bar you will need a high-speed blender to make the mixture creamy and smooth. It has an almond and cocoa base, a cashew cream that I’ve flavoured with rose essence inspired by one of my favourite Indian sweets, the kaju katli a rose vegan cashew fudge (see my recipe, here), and topped with warm melted dark chocolate. I like the result but I am looking to experiment with this recipe and bring it up a notch, perhaps with a pistachio and vegan white chocolate ganache instead. For the moment and while the vegan white chocolate it’s still so expensive I leave you with the recipe used! Pulse the almonds in a food processor into crumbs, then add the cocoa powder and agave nectar and pulse again until the mixture holds together when pressed. Transfer this to the base of a lined tray and press it evenly. Soak the cashews in boiling water and leave aside for 15 minutes, then drain and add them to a high-speed food processor along with the other ingredients. Blend it for a few minutes until you get a foamy cream. Pour this cream over the almond crust, cover and freeze for around 5 hours or until firm. Melt the chocolate and coconut oil in a heatproof bowl over a pan of gently simmering water, stir until melted. Remove from the freezer, slice and serve with the warm chocolate topping. Optionally you can decorate with dried rose petals and chopped pistachios. 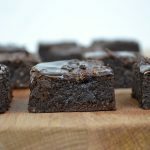 Looking for more vegan snacks with chocolate? check my vegan brownies recipe video, here!